Greg is an extended range guitarist and bassist. His musical focus is a combination of instrumental progressive-metal and jazz-fusion. He currently teaches at U Music School in Peekskill NY. Living in Yorktown New York, he writes and records his own material and does production/engineering work for clients in his project studio. Greg's biggest early influence was Jimmy Page and Led Zeppelin. Having received Led Zeppelin I and II from his father when he was only 9 years old, changed his life completely. The songwriting and production on these recordings started Greg on the journey he is currently on today. Greg's father owned a rock club in Stamford CT where Greg would meet his future and current teacher and now colleague, Lou Ubriaco. Lou, who at that point was a professional gigging musician and teacher gave Greg the foundation he would need to begin to understand the guitar and songwriting. After high school Greg stopped lessons and experimented with songwriting and recording on his own. Around this point music was not a top priority as other interests developed and responsibilities pushed music to the background. In his mid-twenties Greg felt the absence of music and became determined "get serious" about his playing. He was lucky enough, through serendipity, to find his former instructor, Lou Ubriaco, and began his studies again in earnest. At this point in time Greg began to focus on technique and music theory. His goal was to be able to play whatever he heard in his head. Greg also became enamored with recording technology and honed his craft through a lot of practical experience. 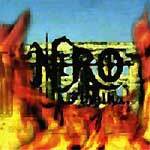 In the late '90s Greg formed the original band Nero. Nero was able to put out one CD in 1999 called "Finally". After Nero parted ways Greg began recording his own material. Cutting his teeth on his first two recordings, "Waiting For Darker Skies", and "Artifacts", Greg finally decided to get serious and record his first "official" release "Wyrd". "I’m talking about Allan Holdsworth, Scott McGill, Scott Henderson or Pat Metheny. And keep on talking about Steve Howe, Greg Howe, Steve Morse, Roine Stolt or Jimmy Page... and like that we could go as far as the end of the sheet. What I’d like to tell you is that Greg Rapaport could be a name to add to this list." "Oh hell, let's not beat around the bush. This is great stuff. Head on over to Greg's website and buy this! NOW! Don't be like me and sit on it. But, for those who aren't convinced, you can hear clips of this album at his site, too. But you'll end up listening to them just to tide you over while you wait for the post office to deliver your package containing the real thing." "Greg Rapaport is yet another hybridized guitarist/multi-instrumentalist that is writing music that sets him far apart from the many guitar hero types out there. The fact there are some guitarists out there that are willing to dispose of their egomaniacal guitar solo type music, in favor of writing progressive, instrumental music, makes for much more interesting listening for fans of good music in general." 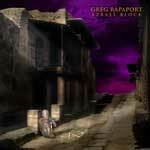 By 2003 Greg released his second CD entitled "Azrael Block". This recording pushed Rapaport to continue improving both as an engineer as well as a musician. He took what he learned from "Wyrd" and expanded on it. He focused on a more progressive and aggressive approach to his songwriting. He also sprinkled some humor throughout to keep things interesting and fun. By this time Rapaport had started teaching guitar and bass at UMusic and acquired a sizeable roster of students. In 2006 Rapaport released his third and most ambitious work to that date, "Homunculus". He created the concept of linking his songs to different facets of the human psyche. He again took what he learned from his previous releases and applied it to this project. While again trying to raise the standards of his playing and songwriting. "Homunculus" would take 3 years to write and record. After releasing "Homunculus" Greg was contacted by BHP Records to participate in three tribute CD's. 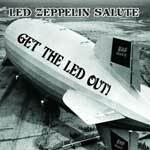 Greg was lucky enough to put his own spin on the "Immigrant Song" for the "Get The Led Out" Led Zeppelin tribute. 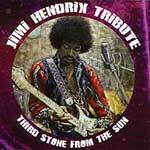 He also worked up an interpretation of Jeff Beck's "Led Boots" for "El Becko" and a version of "Fire" for the Jimi Hendrix tribute "Third Stone From The Sun". Greg also started filming videos for his "Betcha Can Play This" series. These videos offer a humorous way to learn some very approachable lines and ideas. This work and other circumstances led to an almost 6 year gap between releases. 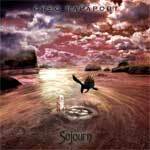 Finally in 2012 Rapaport released his new project "Sojourn". 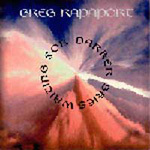 In Rapaport's fifth solo release he raises the bar and continues to challenge himself and the listener. He does this by threading compelling melodies through odd meter and aggressive, angular harmony. Juxtaposing jazz, funk, and progressive metal with strange ethereal atmospheres Rapaport takes you on a journey in which he hopes you'll find more satisfying with each listen. Each song is a snapshot in time as Rapaport continues his journey through the darker aspects of the human condition. A 12 page booklet accompanies each CD with artwork dedicated to each song. The Jeff Beck Tribute “El Becko” release was produced and compiled by the Emmy Award winning Guitarist, Brian Tarquin. 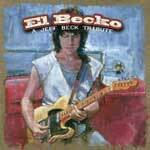 “El Becko” explores new interpretations of classic Beck tunes, such as Greg Rapaport's "Led Boots" and many others. Other artists include Billy Sheehan, Randy Coven, and Doug Doppler. Get The Led Out!—a sonically astute 16 track rock instrumental tribute album to early ‘70s hard rock pioneers Led Zeppelin and the results make for an ear-opening experience. Rapaport's cover of the "Immigrant Song" truly made his own by using his seven string guitar is one of the cd's highlights. The sickness continues as Greg delves deep into the gray matter. Rooting around and exploring different attributes of the human psyche, he outlines his findings on his new release, Homunculus. Each song personifies an attribute through its style and composition. The main ingredients, fusion, progressive metal and funk are still there, but now they’re industrial strength. Taking a darker path Greg explores more convoluted themes and the more unorthodox joining of musical ideas. His second true effort is consistently inconsistent in methodology and has proven to be a challenge to work on. Groove, technique and feel is the triangle that forms the common denominator in this new release. Greg's first serious instrumental project entitled "Wyrd" is an eclectic mix of prog-metal, jazz, rock and funk. On the disc, Greg challenges himself by mixing jazzy chord progressions with aggressive metal. By implementing clean melodic lines and bursts of fiery technicality in his solos, he establishes the common thread that holds the music together. 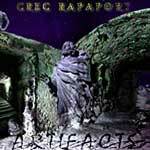 Artifacts was Greg's first attempt at creating solo instrumental music. Greg was able to fuse together many different genres into coherent pieces of music. The learning process in terms of production, engineering and songwriting began to evolve into something a bit different as this project took shape. Focusing on solely instrumental music Rapaport was able to further hone his skills at creating melody and harmony that would keep the listeners attention throughout the song. 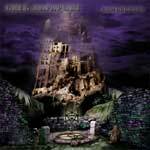 Greg's first solo project entitled "Waiting For Darker Skies" is an eclectic mix of prog-metal, jazz, rock and funk. On this project Greg was able to first cut his teeth in the methods of tracking, mixing and mastering a project from start to finish. Greg's first serious band project starting in 1996. After countless auditions they had a lineup that was able to write and record their first and only cd. They played all over Westchester County and many great clubs in New York City including: The Spiral, The Elbow Room, The Continental and plenty more. Unfortunately Nero never was able to work through artistic differences so the band came to an end. A seasoned player of 30 years Greg has grown into a competent songwriter and soloist. His influences include Scott Henderson, Allan Holdsworth, Greg Howe and Jimmy Page. On bass Greg enjoys listening to Gary Willis, Jeff Berlin, Victor Wooten, Chris Squire and of course John Paul Jones. Also influential in Greg's development is his work in area bands. Teaching both guitar and bass has also helped widen his scope musically while providing many new and different musical perspectives. Continuing to develop as a songwriter and musician through instruction and constant practice, Greg would like to record and release many interesting and musically diverse projects in the future.